Mara Rockliff has an easy, enjoyable reading style which manages to include a good dose of history. 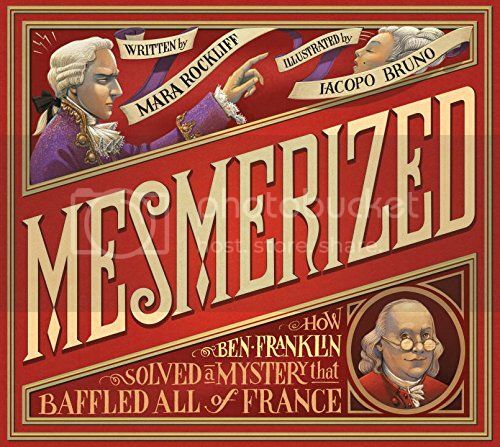 I particularly like how this picture book biography of Ben Franklin focuses on his use of the scientific method. The author does a great service here by explaining what this is and how Ben actually used it. The story itself is also weird and thus naturally appealing. Grumpy gripe: I find the constant changes in font very annoying. Many kids can’t read script and struggle to read with confidence when the words aren’t printed clearly. Stick with a basic font; the writing is strong enough to keep the readers interested and the illustrations are also terrific.